Barcelona, the capital of Catalonia, is the second largest city in Spain, behind Madrid. This city is thriving with life, dynamic religious structures, spirited culture, amazing cuisine and spectacular vistas. This wonderful city offers an assortment of adventures which are sure to check off the WOW-factor sensations on your list! 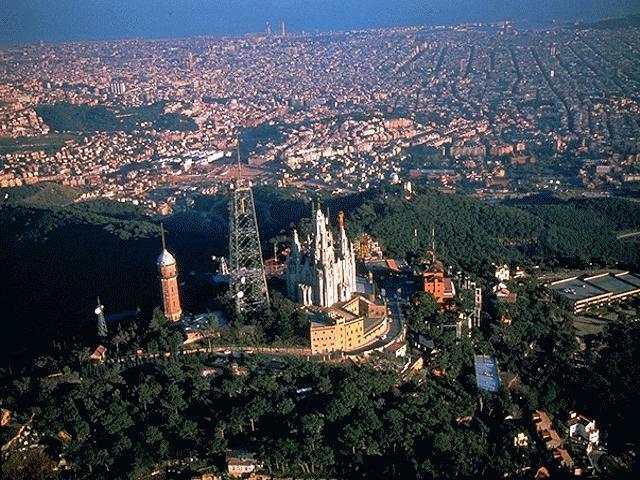 Tibidabo Hill offers magnificent and picturesque views over the city. It’s not just a mountain or hill, but an experience. On your way to Tibidabo Hill, stop by the amazing Science Museum of Barcelona. You will be able to ride the funicular atop Mount Tibidabo where you’ll discover an amusement park for children, and Barcelona’s most well adorned landmark, Sagrada Cor, with its stunning murals. There is also the Automata Museum, Collserola Tower, the Observatory Fabra, and the Church Choir of Sagra. Barrio Gòtico is full of life with its carefree cafes and artistic bars. There are several must-sees here. Take a stroll through La Seu Cathedral. The inside of the cathedral is quite striking but the gentle alleyways such as Plaça Sant Felip Neri , with its charming fountain, and Carrer del Bisbe, with its neo-gothic overpass, offer up a most enjoyable outdoor delight. 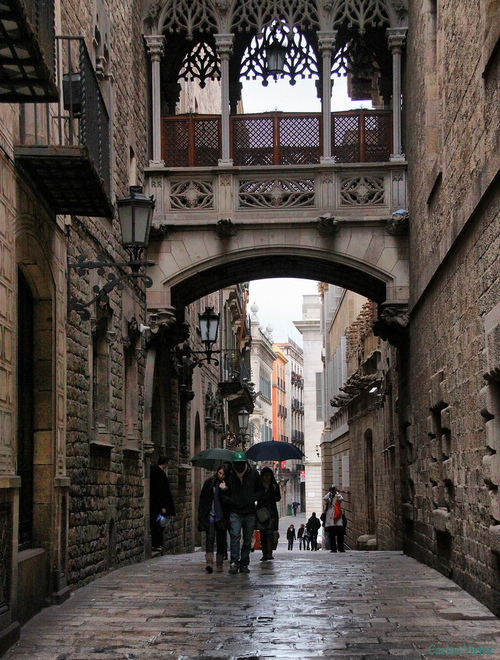 When taking in the Gothic Quarter, consider a walking tour which will unearth the backdoor of Barcelona, and its historic significance. A very popular tourist attraction is Barrio Gòtico’s institution, the neo-Gothic Cerveseria, which dates back to the 1890s. This bar is where some of Picasso’s first works of art were held. Plaça del Pi is one of Barcelona’s most attractive squares. Take in the shops, or enjoy a meal off one of the café terraces. You’ll experience amazing architecture, market stalls, gothic churches, and artists lulling on deck chairs, all within walking distance. Museu d’Historia de La Ciutat is a great museum to visit as it is said that it is the place where Christopher Columbus made an appearance after returning from the new world. Here, there are ancient Roman remains, very old relics and literature which map out the capital’s primitive history through the takeover by the Moors. 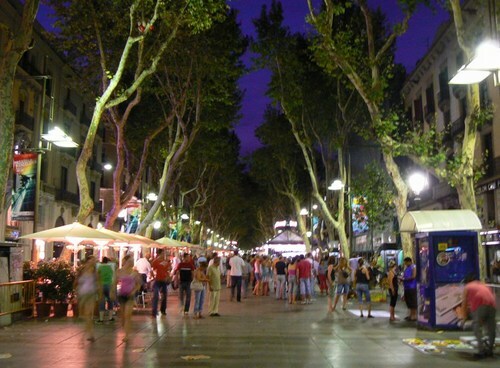 Las Ramblas is considered Barcelona’s most celebrated street. Take in the dynamic architecture, check out a show, marvel at the many street performers, enjoy a beer and take pleasure in the lively ambiance. If you’re looking for a great place to eat, head over to the La Boqueria Market. Choose from a variety of fresh fruit, or stroll to the back of the market where you’ll find excellent small restaurants with superb food and amazing tapas. The street performers are a main attraction alone. 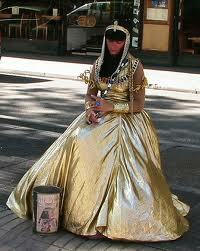 As you promenade through the streets, you’ll encounter many human-like sculptures. The costumes are colorful and a bit bizarre, but entertaining nonetheless. If you have time, take in a show at the Liceu. Even though the performances carry an operatic tone, non-operatic performances are given throughout the year. Placa Reial is a gorgeous plaza – a great place to enjoy your coffee and take in the unique architecture. If you’re looking for a cool place to party, check out Sidecar, located in Placa Reial – great energy and a vibrant atmosphere. Yes, it’s just a water fountain, BUT… not just any water feature. 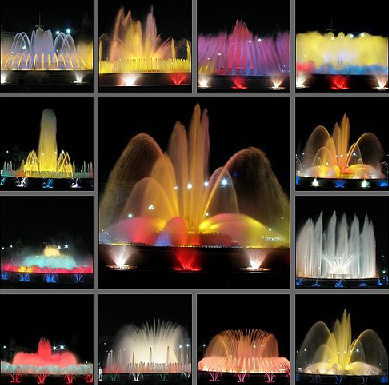 This awe-inspiring and stunning fountain astounds with its music and multicolored lights. Jets of water delight as its mist jets in coordination with the music and lights. In the evening, the lights dance to the rhythm of the music which plays an eclectic mix of melodies – everything from The Godfather, to Mozart – very cool, indeed. The attention-grabbing visual effects make the entire experience memorable and jaw-dropping. The La Palau de la Musica Catalana is a must-see. This magnificent opera house is coated with vivid and multicolored mosaics. The acoustics are astounding and the paintings and glass cupola are simply striking. 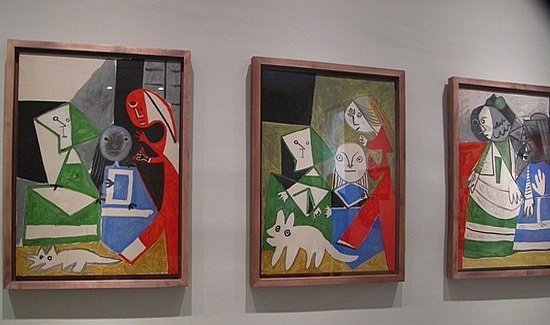 Picasso is Spain’s most famous painter and it is here, at the Picasso Museum, in El Born, where you can be in awe of his wonderful cubist paintings and early sketches. Stroll through the medieval palaces on Carrer Montcada, which are where wealthy aristocracy dwelled during the medieval times. These fine palaces are lined with remarkable architecture and history. How about a cocktail? In the evening, the streets of El Born are full of fashionable and good-looking people ready to party at any one of the stylish cocktail bars. A good one to try is La Fianna. It offers Happy Hour at two-for-one specials. Chocolate lovers, you’ve got to check out El Born’s Chocolate Museum on Carrer Comerc, and for spa lovers, relax at Baños Arabes – an elegant 18th-century building looking out over Ciutadela Park. Soothe your tired feet and melt away your energetic day within an Arabian bath-like setting. There is so much to see and experience while in Barcelona and the places and attractions listed here are guaranteed to fill your picture story book with wonderful and rich memories.